This sense of relief is my predominate emotion after slogging through The Rise: Creativity, the Gift of Failure, and the Search for Mastery by Sarah Lewis. Not that the book is terrible, per se. Lewis drops some valid gems throughout the book, and I found myself highlighting passages as if I were back in college. The book was obviously a labor of love. However, her writing style, while perhaps appropriate for her career in the upper echelons of the art world (especially writing art critiques), doesn’t quite translate to the hoi polloi reading audience. Once upon a time, I lived for the flowery yet convoluted sentence structure employed in the book, along with liberal sprinklings of $2.50 words and obscure art and cultural references beyond certain circles; it’s why I was a fan of the late Manning Marable (in fact, Lewis’s writing style reminds me of Marable’s–a lot). Nowadays, maybe my brain is just too old (or overworked) to cut through anyone’s etymological maze in the name of being perceived as one of the smart kids–which I already am –or stopping every other sentence to look up a reference that I don’t understand or with I am unfamiliar. 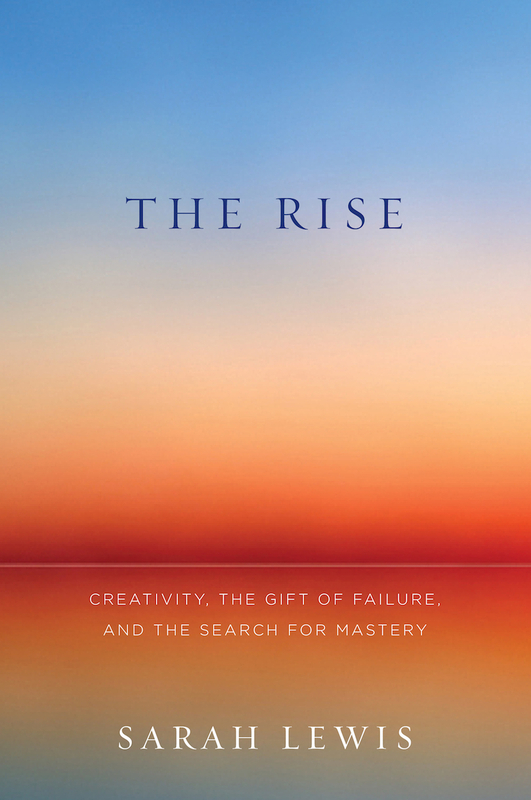 Lewis uses The Rise as a platform to examine the correlation between creativity, failure, and mastery. Or rather, why some people use failure as an impetus to achieve mastery, while others use it as an excuse to quit. Why some creative people are content to exist within the prescribed, time-tested parameters of their particular niche; while others are willing to jump off a cliff at the risk of falling to their deaths while hoping to sprout wings and fly. The premise is valid; the execution, not so much. Lewis likes to pack a lot of information into a small space; she will mention thermodynamics, Shakespeare, Sumerian myth, modern dance, and arctic exploration–sometimes all in one paragraph. The spasmodic jumps between exemplars lack the smoothness of, say, Malcolm Gladwell (to whom Lewis was unfairly compared), who has written bestsellers in a similar vein as The Rise: taking a subject and figuring out how it affects (or doesn’t) certain groups of people. Add this to the aforementioned maze-like conveyance of ideas and a penchant for name-dropping, and I understand why this book was such a chore for me to read. As I’ve said before: the book isn’t bad, just tedious. Lewis’s perspective on failure and mastery is interesting, though not presented a clearly as I’d like. There’s good stuff in there, but you have to dig for it (alcohol and/or skimming ahead optional). I just had higher hopes for the content, given the initial hype surrounding the book in literary circles.